A majority of member states have agreed to start preparing a new levy on digital companies to compensate for low-tax regimes that have cost European governments billions of euros. The European Commission will put forward a set of options this month to solve the issue, which is complex because of internet companies’ different business models and opposition from several member states. A few critics of the new tax proposal, including the UK, warned during discussions in the Ecofin Council in the Estonian capital on Saturday (16 September) that the plan could be seen as an attack on US tech giants, so the move could further raise tensions between Washington and its European partners. 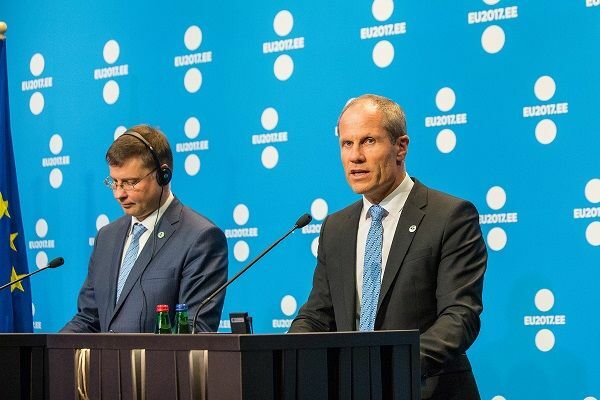 Despite some diverging opinions, the economics and finance ministers concluded that “we need to move together” to address the beneficial tax situation of Google, Amazon, Facebook and other companies, said Estonian Finance Minister Toomas Toniste. “Everyone agrees that the problem exists,” he told reporters after the Council meeting. 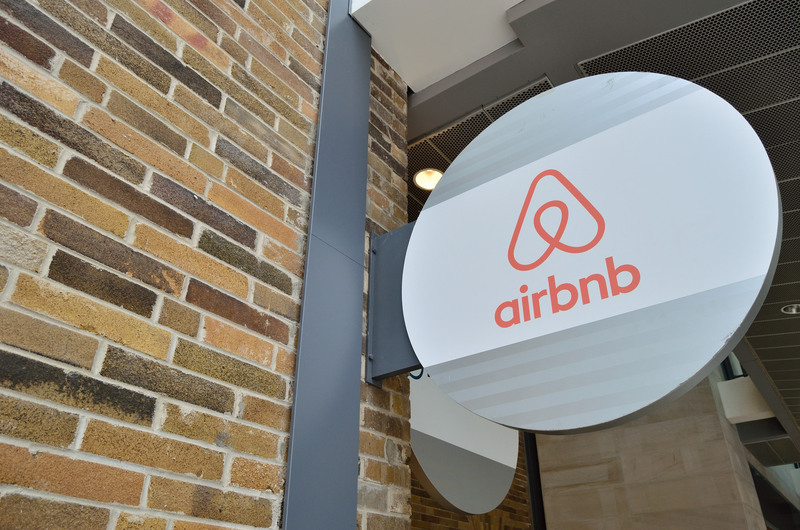 France said on Wednesday (9 August) it would team up with Germany to address an “unacceptable” tax situation for homesharing website Airbnb and other digital platforms like Google and Amazon. French Economy and Finance Minister Bruno Le Maire, the main driving force behind the initiative, said Europe “cannot be kicked around”. He admitted the plan was “extremely complicated” but expressed his satisfaction after the meeting as the ministers widely agreed that there should be EU-level action. Toniste said most ministers supported a long-term solution to address low taxation rates that these digital firms face on their turnover. One of the options is Estonia’s proposal to modify the concept of permanent establishment upon which tax regimes are based. Under the proposal, a company with significant digital presence, regardless of its physical location, would be deemed to have a “virtual permanent establishment” in that jurisdiction and would be liable to comply with its corporate tax regulations. A precondition for making online companies such as Amazon and Google pay taxes where they are due is to affirm the principle of “virtual permanent establishment”, whereby digital firms pay taxes in countries where they have a “significant digital presence”, said EU presidency holder Estonia. This long-term option would align with the ongoing work at the OECD-level (base erosion and profit shifting-BEPS) and could help Europeans take the lead on corporate tax policy. But the Estonian presidency of the EU, France and the Commission agreed there is currently a “window of opportunity” and the need to move ahead faster. 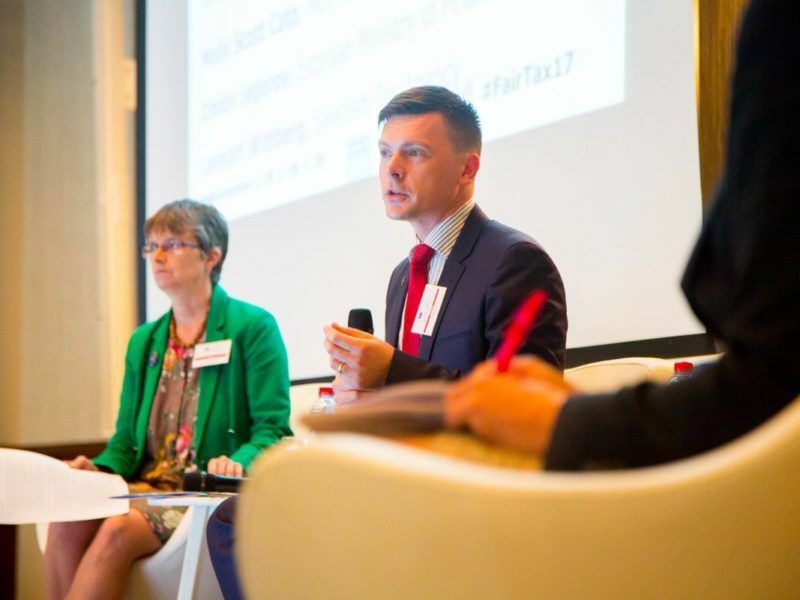 “Time is running out,” said Dmitri Jegorov, Estonian deputy secretary-general for tax and customs policy. He argues that if small and medium-sized companies are encouraged to pay taxes, there is no reason to wait for big digital firms. More than a third of member states are in favour of adopting a “quick fix” to close loopholes and address the schemes that tech giants exploit to avoid their tax obligations. One of the quick fix options is the proposal France, Germany, Italy and Spain put forward last week for an “equalisation tax” on turnover generated in Europe by digital companies. “The amount raised would aim to reflect some of what these companies should be paying in terms of corporate tax,” said a political statement co-signed by these four countries on Saturday. Austria, Bulgaria, Greece, Portugal, Romania and Slovenia also supported the statement. Jegorov explained that these countries are ready to abandon this quick fix when it is no longer needed, if there is a more permanent solution at European or international level. They committed not to derail parallel efforts to address tax erosion through the EU Common Consolidated Corporate Tax Base or the OECD, he said. 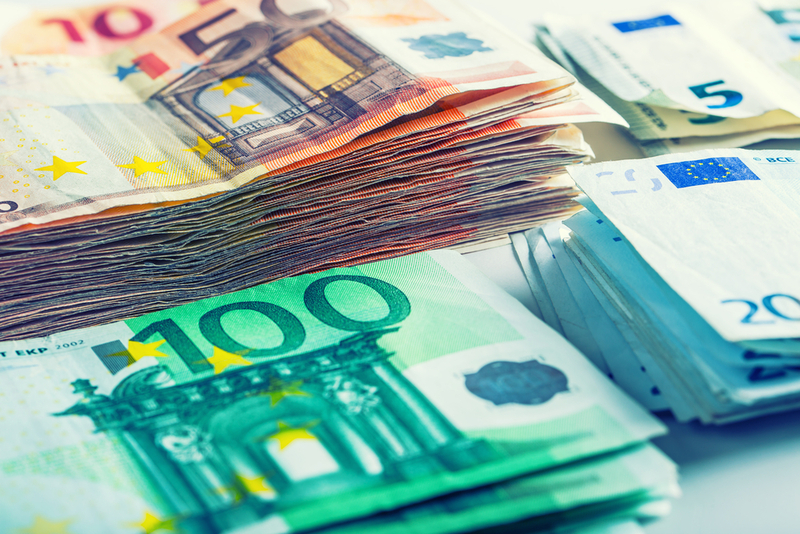 The European Commission has unveiled its latest action plan to harmonise corporate tax. After two past failures, the executive hopes the recent flurry of tax scandals will give the project a new lease of life. EURACTIV France reports. Both the long-term proposal and the equalisation tax still face an uphill battle. As any other tax-related proposal, it could be vetoed by a single country in the 28-member bloc. At least seven countries were sceptical of the idea, including Ireland, Luxembourg, Cyprus, Malta, Sweden, Denmark, Czech Republic and the UK. But proponents of the idea remained optimistic. “I am convinced that the countries that could be initially cautious on this would end up accepting the proposal. At the end, we will have an agreement at the 28 partners level,” Spain’s Economic Affairs Minister Luis de Guindos said. Backers of the plan ruled out at this stage using the enhanced cooperation option, which would allow them to proceed with support from at least nine member states. EU finance ministers have presented a compromise text for the Financial Transaction Tax (FTT) and urged Slovakia and Belgium, which is accused of deliberately blocking negotiations, to ratify it. EURACTIV France reports. The Commission also supported an agreement between all 28 member states. Without full support, the integrity of the internal market could be affected and “it would make more difficult the ambition of setting up a digital single market,” Vice-President for Financial Services Valdis Dombrovskis said. The Commission will assess this month what tax challenges digital giants create and what solutions could be offered based on their business models. 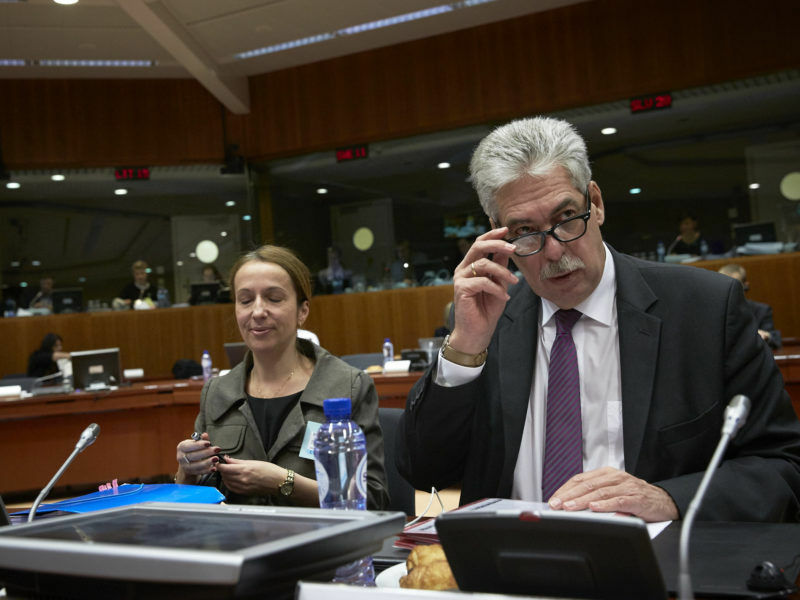 The communication will be a “scoping exercise” but will not indicate the Commission’s preferred option while political and technical discussions are still ongoing, EU officials said. EU leaders will have a first look at these options when they meet at the digital summit in Tallinn on 29 September. In the following weeks, national experts will assess the different options and detail what the capitals will request from the Commission later this year. Ministers are expected to ask the Commission for a legislative proposal at the Ecofin Council meeting in December. Dombrovskis said the Commission could present its draft proposal for the new tax on internet giants in spring 2018. This would only be the start of a difficult legislative process. Supporters of the new tax will find it difficult to gather the required unanimity in the Council. In addition, intense lobbying from tech companies could water down the draft text in the European Parliament. 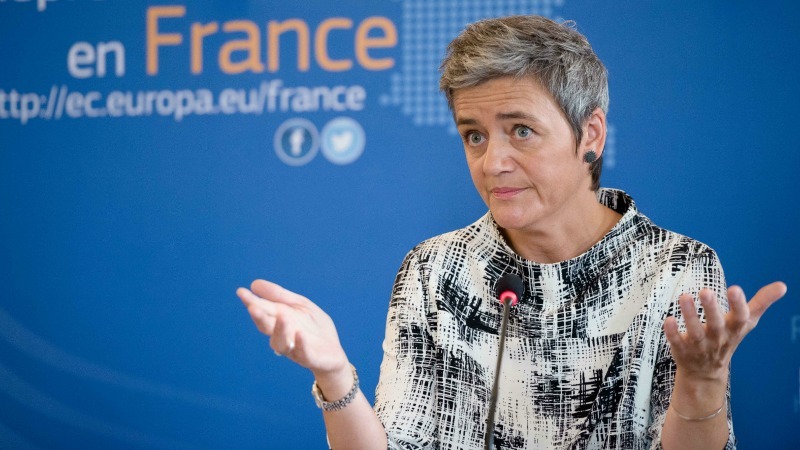 EXCLUSIVE / Margrethe Vestager, the EU’s competition Commissioner, has drawn praise and criticism regarding the Ireland-Apple case. In an interview with EURACTIV.fr, she says Ireland’s appeal will actually strengthen the Commission’s case and says more tax rulings are in the pipeline, with Amazon and McDonald’s coming next. 29 September: Digital summit in Tallinn (Estonia). Spring 2018: proposal on taxation of digital companies.